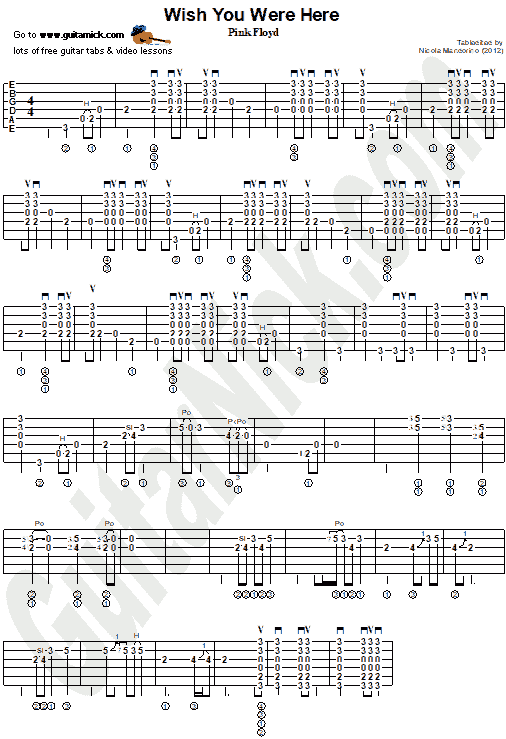 This is the part played by Pink Floyd in the original recording, in live concerts Gilmour changes some notes of the guitar solo. I have a bit simplified the initial part of the chords to make it more readable. Learn to play it on the guitar with free tablature, chord progression and my video tutorial on YouTube.